With the amount of people searching the internet these days there is no better way to share knowledge than with a blog. It doesn’t have to cost you an arm and a leg and I will share with you the best way to start a blog for free . Blogging can actually be quite fun to put your thoughts and opinions in print for hundreds or hopefully thousands to see. Eventually you can even turn blogging into an income stream. There are a few things to consider if you want to have the best chance to succeed at blogging for money. There are differences in free hosting plans, some plans limit the amount of data or resources you are able to host for your blog. Most free hosting is shared hosting while that is not bad in itself it’s not ideal either. This is because the chances of getting infected from malware or other glitches increases with some free hosting. Also, most of the free hosting that is available has little or no support. What does this mean for you ? if you run into problems you are left out in the cold, alone. There are lots to consider when choosing a free hosting plan, but I have you covered below, just read on . What in the heck is a niche ? The best way I can describe a niche is a group of people with the same interest. So then is Fishing a niche? Well it is, but it is a very large niche and for what we are looking for we can do better . Let’s say Fresh water fishing ? Well that is somewhat better and we need to drill down further giving us a better chance to succeed with our blog. OK then BASS fishing ? Still, to big of a market to break into, we need to dig deeper. How about small mouth bass fishing ? Yes getting closer but still a very large subject matter with too much competition , your blog will never get seen. Something narrower like small mouth bass fishing rods or lures etc. would be a better choice. Unless you are a huge company with a large advertising budget you will never compete in very broad markets . Mind you this is only important if you actually are blogging for money or fun ? Choosing a niche is where most people get tripped up. It was a huge stumbling block for me when I stared my first blog. Don’t worry about this right now, I have a solution for you below, read on. Getting content can be a real challenge for most of us and there are a few ways you can go here. Create a video blog, you can simply use a plugin and import videos from You tube or Vimeo. The problem here is, take a look at your completion The exact source that you are getting your videos from. Do you think you have a chance to be seen? Bills Blog or YOU TUBE… hmm mm ? Auto blogging, again this is possible with a plugin. You can easily fill your blog with other peoples content. Yes you have a blog but what is the value. You are simply supplying what has already been published, will it be seen by anyone? Article spinners, yes there are spinners out there some are even good. If you don’t know what an article spinner is you can read about them here, I won’t waste your time explaining . Again this is a less than ideal way to create content. Creating your own content. Yes this is a scary task, many including myself when starting out are totally stumped by this concept. By creating unique content you can really have a successful blog, even if it’s a free blog, you can do well. Creating good content can be the point of no return for a lot of bloggers. So much so that they just plain give up, this doesn’t have to be you. Don’t worry , read on I have a solution for this. Traffic in general is not really an issue, getting quality traffic can be very difficult. Knowing how to get good free traffic is the key to success but is not only for a chosen few. Traffic can be obtained in many ways but boils down to Free traffic and Paid Traffic. There are many re sellers of website / blog traffic, most of this is very low quality and some of it is BOTS. This kind of traffic is garbage and is a waste of money even if it’s only a few dollars. I recommend that you stay away from using these cheap traffic sources because it will do more harm than good. You need only a little of good quality traffic to get your blog rolling, this in its self is a hurdle that many can’t cross. By having some quality visitors from around the globe your blog will stand a better chance to succeed. So how can you get quality visitors? Again I have a solution for this right below, read on. I know that many reading this will think that it is just another smoke screen, I don’t blame them the internet is full of them. Others may be interested enough to click the link below and think this will not work for me. Some people will click the link below and will be interested enough to carry on, but not see it through. That’s alright at least you gave it a try. Over 90 % of people fail to have a successful blog because they start, but do not finish what they are doing. Here is My FREE solution and believe me it will cost you ZERO $ . 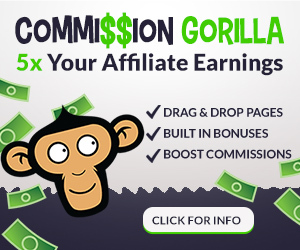 But if you are looking for a quick easy way to earn money online, this won’t be for you. If you want to actually build something you are proud of then proceed. A built in writing platform that will enable you to actually write your own content. Well I agree with you that there is no better way to start blogging than having or starting it for free. There are lots of affiliate marketing in the internet with lots of promises but in the end you realized you wasted your time and money. It would be imprudent of me to ignore this opportunity for after all its free. Got to give it a try and a good way to validate it. Thank you for sharing this article on blogging. Great post. I am still new to blogging so every little bit of information helps me in my journey. I am grateful we crossed paths because I feel like I would really thrive from reading your posts. Working from home is wonderful but also overwhelming starting out. This is good info!